Our BP Stage 2 Cylinder Head package includes a fully rebuilt head using new Dual Valve Springs and Titanium Retainers. Our BP Stage 3 Cylinder Head package has proven itself in some of the most powerful and fastest Mitsubishi's in the country! The foundation of the Boostin Performance Short Block starts with a freshly cleaned, bored, and honed engine block. The foundation of the Boostin Performance Short Block starts with a freshly cleaned, bored, and honed engine block. ARP Custom Age 625+ Head Studs were designed for all of your 4B11 Evo X ARP2000 Head Stud kit for your 4B11. ARP2000 Main Stud kit for your 4B11. ARP Assembly Lube (0.5 Oz) packet. Designed to withstand higher RPM conditions. The unique combination of design, metallurgy and engineering come together to deliver what drivers expect from high performance Trimetal engine bearings. 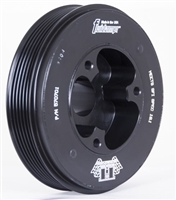 Designed to withstand higher RPM conditions. The unique combination of design, metallurgy and engineering come together to deliver what drivers expect from high performance Trimetal engine bearings. The STM Aluminum Weld-On 2" Bung & Cap are the perfect match for those DIY fabrication reservoir and overflow projects. The cap is anodized with a black finish and includes the o-ring seal. GSC Power-Division billet cams for your Evo X.
Kelford Cams for your 4B11 Evo X. Universal Catch Can can be used and installed on any car. Mitsubishi OEM Intake Manifold Gasket (EVO X) A complete Mitsubishi (OEM) engine gasket kit for the EVO X/4B11. 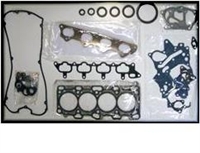 Mitsubishi OEM Head Gasket for your Evo X. The STM Intake Heat Shield for the Evo X is designed to protect your air filter from the hot air off your fans. The STM Aluminum MAF Adapter Intake Flange for the 2008-2015 Evolution X is a perfect fit to any 3" aluminum pipe. A must-have for your custom intake! Stainless hardware is included. 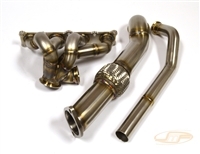 Mitsubishi OEM engine oil cooler for the Evo X.
OEM Mitsubishi 4B11 EVO X Oil Pan. 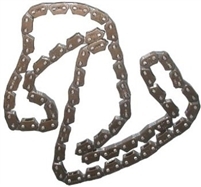 Mitsubishi OEM Oil Pump your Evo X.
Genuine OEM Mitsubishi 4B11 Oil Pump Chain for your 2008+ Evo X. Eagle's 2-piece, forged, vacuum-degassed, 4340-certified steel construction provides outstanding strength, while still weighing much less than stock rods. Manley "H" Beam connecting rods are manufactured from 4340 forgings to the same exacting standards developed and approved by our original equipment customers.